Nebraska football fans already know they are in for big changes with the arrival of new head coach Mike Riley. But after being caught in a “Groundhog Day” type of almost-but-not-quite-good-enough seasons in the past, it’s a legitimate question to ask why fans should expect a breakthrough in 2015. One reason for optimism might be true freshman seeing the field and making a difference. Last year, we saw what a difference De’Mornay Pierson-El made for Nebraska. Here are five (well, not exactly) true freshman who could see themselves as starters in 2015. Of all Nebraska’s incoming freshman, Young might be the one the team most desperately needs. With the departure of David Santos, Nebraska is down to four scholarship linebackers who aren’t true freshmen. One (Michael Rose-Ivey) is coming off a missed season due to injury, one (Marcus Newby) saw limited playing time last season as a pass-rush specialist, and one (Luke Gifford) redshirted last year. Oh, and Nebraska’s new defensive coordinator Mark Banker uses a quarters defensive structure that favors three linebackers on the field for most plays. So Nebraska is transitioning to a defensive scheme that puts an extra demand (as opposed to former head coach Bo Pelini’s preference for a fifth defensive back) on an area of the roster particularly thin this season. As a result, the young guys are going to have an opportunity early. Young, as an early enrollee, should have the first shot at earning a starting role. Yes, he’s a true freshman, but it looks like he may be competing with a redshirt freshman and a bunch of walk-ons for that starting job. 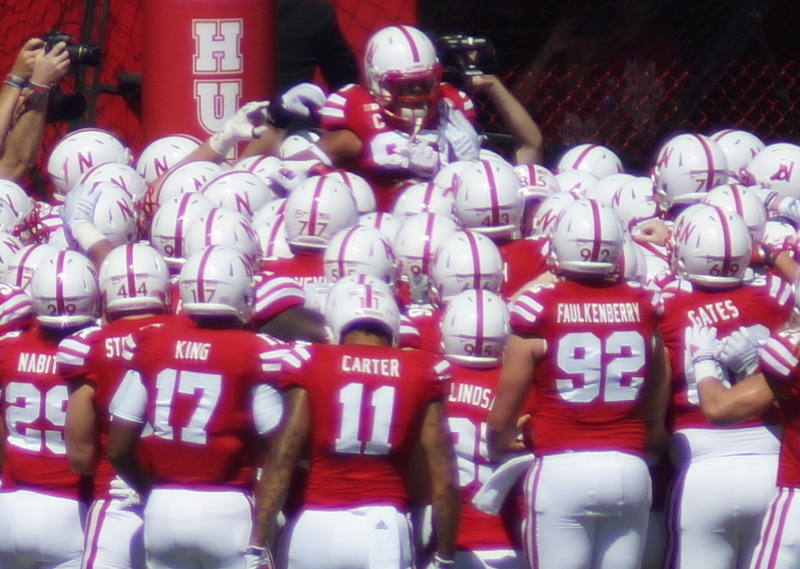 In addition to Young, Nebraska signed four other linebackers in the 2015 class, Antonio Reed, Mohammed Barry, Tyrin Ferguson, and Adrienne Talan. Given the borderline crisis Nebraska is facing with its linebacker depth chart, it’s not inconceivable that one of these true freshmen could have a breakout performance in fall camp and find his way onto the depth chart. Admittedly, it will probably take some additional injuries (or a truly monumental fall camp) before any of the other freshmen linebackers could be considered a starter. But given Nebraska’s perilous lack of depth at linebacker, and history of linebacker injuries prior to the start of a season (Michael Rose-Ivey in 2014, Trevor Roach in 2013), that scenario isn’t inconceivable. Under Riley, it appears that the tight end might be a renewed source of interest. For the 2016 class, Nebraska has already signed two tight end prospects, perhaps signaling an end to the “Mike McNeil” syndrome of talented offensive weapons at tight end disappearing from Nebraska’s game plan. Currently there are three scholarship tight ends on Nebraska’s roster. Only one, Cethan Carter, is the kind of offensive weapon Snyder projects to be. And Carter has struggled with injuries throughout his career at Nebraska. As of right now, Carter’s experience gives him the clear starting nod. But should Carter be unavailable, don’t be surprised if Snyder is next in line to start at tight end for Nebraska. Neal’s path to a starting position is more circuitous than some of the others on this list. But Nebraska’s lack of proven depth at the position provides Neal with at least a plausible means to get there. Really, Nebraska only has one defensive end returning who is truly proven in Greg McMullen. Jack Gangwish’s play at the end of last season was solid enough to make him the likely starter opposite McMullen, but we haven’t seen enough of Gangwish over the course of a season to know what to expect. Behind McMullen and Gangwish are a number of players, but with significant questions. Senior Joe Keels and sophomore A.J. Natter have been on the squad long enough to know they have failed to earn significant playing time, at least to date. And the two redshirt freshmen, Sedrick King and Freedom Akinmoladun, have a year learning the previous system but no playing experience. Akinmoladun is also trying to learn a new position, converting from tight end. So Neal has a number of hurdles to get from where he is now to a starter. But certainly in comparison to some other true freshman on the roster, there is at least some opportunity for Neal to clear those hurdles in fall camp. Of all the incoming freshmen, Ober might have the clearest path to a starting job in 2015. With the loss of Gabriel Miller, Nebraska was without a scholarship long snapper coming into the season. The signing of Ober recognizes the importance of the specialty position, and signals the likelihood that he should win the starting position over walk-on freshman Chase Urbach. Don’t dismiss the importance of this development. A long snapper is an easy position to ignore. But think about how critical a consistently accurate long snap is for field goals and punts. The consequences of a bad snap in those situations is disastrous for field position, or for surrendering potential points on the board. There’s a reason Nebraska burned a scholarship on a specialist like Ober, and it would be quite an upset (and likely represent a big failure in scouting) if Ober wasn’t Nebraska’s starting long snapper in 2015.